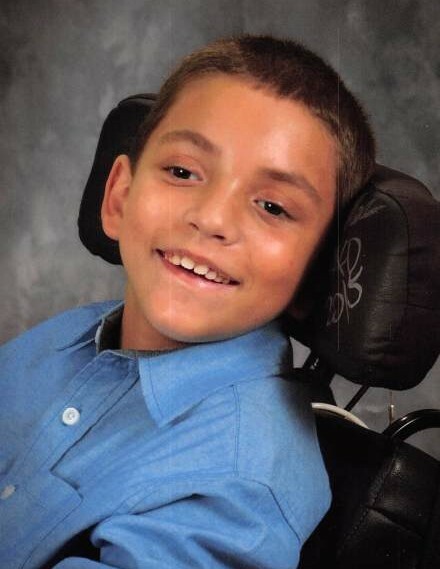 Justin E. Ackman, 11, of North Henderson, IL, passed away at 7:19 p.m., Tuesday, February 5, 2019 at OSF St. Mary’s Medical Center, Galesburg, IL. He was born on March 12, 2007 in Galesburg, IL, the son of Justin Lee Ackman and Kimberly Ruth McKay. Justin was currently a student and United Jr. High School. He enjoyed fishing, racing, working in the garage, and 4-wheeling. Justin is survived by his parents, Justin (Christine) Ackman of North Henderson, IL; one sister, Addilynn Ackman of North Henderson, IL; his grandparents, Cathy Carnes of Galesburg, IL, Sandy (Jeff) Ewing of Monmouth, IL, Don McKay of Monmouth, IL, and Pam Huber of North Henderson, IL. Also surviving are several aunts, uncles, and cousins. He was preceded in death by his mother, Kimberly R. McKay, and grandfather, Alvin Ackman. Funeral Services will be at 11:00 a.m., Saturday, February 9, 2019 at McGuire & Davies Funeral Home and Crematory, Monmouth. Interment will be in Warren County Memorial Park, Monmouth. Visitation will be 5:00-7:00 p.m., Friday, February 8, 2019 at McGuire & Davies Funeral Home. Memorials can be made to the Justin Ackman Memorial Fund.